How to make Vidazorb® the probiotic brand of choice? Consumer understanding of probiotics was minimal when the brand was initially launched. 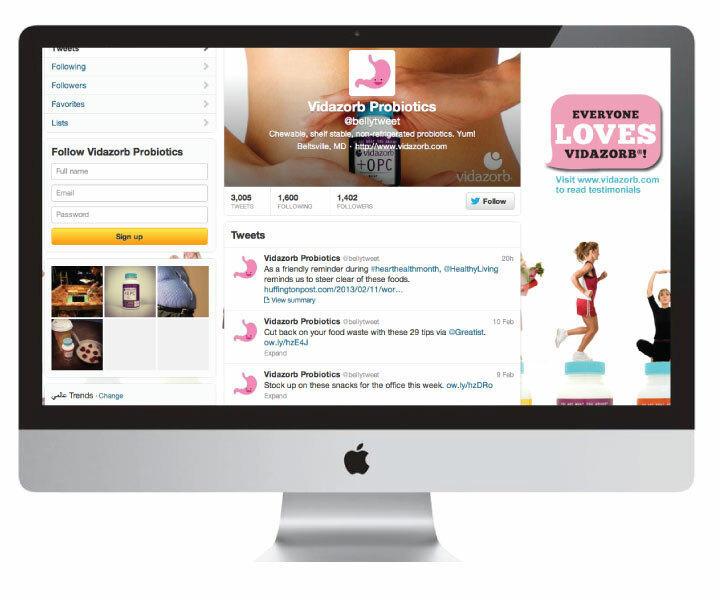 We used social media to create a buzz, followed by a comprehensive PR strategy, which allowed us to deliver the point of difference for Vidazorb®. Mommy bloggers were vocal advocates for the band—particularly Belly Boost®—which was specifically formulated for kids. Belly Boost® featured a fun cartoon character, Zorbee™, that we used to connect with kids and educate them in fun ways. Zorbee™ communicated the brand values of quality, efficacy and integrity, which in turn engendered trust with moms while engaging and entertaining kids. Using targeted events for sampling to health and environmentally conscious women and celebrities, coupled with guerilla marketing tactics and regional ad campaigns we were able to build brand awareness and sales. Vidazorb® has established a loyal customer base for the brand.